March Madness, the NCAA college basketball championships, takes the country by storm every year. It’s a time for office bracket pools, cheering on your favorite teams, and hanging out with friends during game days. In fact, according to NPR an estimated 40 million people fill out March Madness brackets to predict a winner of the championships. But March Madness is more than just a basketball tournament. It can teach marketers valuable lessons about appealing to consumers’ emotions through interactive storytelling and creating a holistic, cross-channel campaign. People across the nation go wild for March Madness–whether or not they follow college basketball all year. And those are just the fans. Many of the players exist in a constant state of elation as the tournament is likely the height of their basketball careers. Plus, while powerhouse conference championship winning teams like Duke continue to shine, underdogs like the University of Alabama at Birmingham get a chance to show the world what they’re really made of. These are the Cinderella stories viewers can’t wait to watch, hear, and read about. March Madness is, quite literally, everywhere during the NCAA tournament. It’s hard to open an internet browser, scroll through social media, or walk down a sidewalk without hearing the latest game updates. Bars host viewing parties, and the NCAA website streams games live, allowing people to tune in whenever and wherever they want. Consumer technology advancements in recent years have transformed the way people interact with the games today. Smartphone apps such as The March Madness Live App, March Madness Fan Zone, and ESPN Tournament Challenge, let fans track the teams in their brackets, watch games throughout the day, or listen to play-by-plays any time they want. During March Madness, people consume content at an incredible rate on multiple channels, often using different devices simultaneously, and during all hours of the day. Social media users promote their favorite teams, boast about strong brackets, and live-report as they watch the games. Fans who aren’t able to view games in real-time rely on their apps and social networks to stay informed. Content has to be mobile-friendly during a time when people on-the-go are regularly checking their devices for scores, plays, and bracket pool updates. It’s also impossible for marketers to ignore the fact that when exciting plays happen on the court during March Madness, the digital community responds as loudly as, or even louder than, fans sitting courtside. In fact, online interest in the tournament extends far beyond the event itself. Google Internal Data found that consumers search for March Madness information as early as January and far into April, after the champions have already earned their title. Common search terms transition from college game scores, to bracket updates, to recruitment efforts as time goes on, before cycling back the following year. Simply put: March Madness is fun and multi-channel. Since it’s almost impossible to complete a pristine bracket, the competition is fierce, but playful. The odds of correctly identifying all winning teams are 1 in 9.2 quintillion, according to NPR. Bracket pools inadvertently boost morale and teambuilding in offices. People become interested in each other’s picks. Social media users go wild as they watch the games. Plus, this is an event that thrives on positive energy. Even when someone roots for a team to lose, it’s because they want someone else to win. There is goodwill; viewers want to see success. This means that not only will they stick with the tournament for its entire duration, they’ll walk away when it’s over with a positive brand image in their minds. 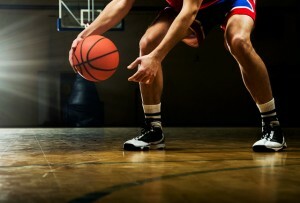 So here’s what brands can learn from March Madness: consumers want fun, interactive, and emotional experiences that cater to their behaviors. Viewers create strong ties to their favorite teams and their brackets, investing emotionally in the success of both. Some love those underdog Cinderella stories, while others follow the tales of schools that honor their long-running traditions of bringing home wins. The tournament provides compelling storytelling, interactivity, intrigue, and excitement–all of which brands can use in their own ways to engage consumers. Just telling an emotive story isn’t enough, though. This story needs to be accessible and told in a dynamic way, that involves the consumer. Brand interactions that engage people with unique, diverse content across websites, mobile apps, video, and other channels maintain their relevance and accessibility. In 1939, when the country was at war, people paid attention to and found a happy distraction in the local high school basketball championships that would one day turn into the NCAA tournament. Henry V. Porter said it best when he claimed that “A little March madness may compliment and contribute to sanity and help keep society on an even keel”. Sometimes, what people need most is an explosion of passion to break the monotony. That’s what March Madness is all about: being able to express enthusiasm and share in the fervor surrounding a national event, using every platform at our disposal. Do you see any more marketing lessons to be had from March Madness? Share your thoughts in the comments below. 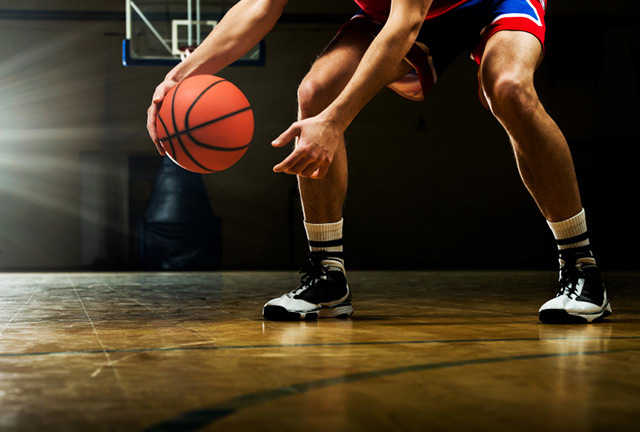 The post A NCAA March Madness Marketing Lesson: Cross-Channel & Emotional Storytelling appeared first on Marketo Marketing Blog – Best Practices and Thought Leadership.